The Siemens Symbia™ T series SPECT/CT system incorporates CT with high-end SPECT for precise lesion localization and attenuation correction. The Symbia T is an advanced and highly integrated diagnostic SPECT/CT solution. 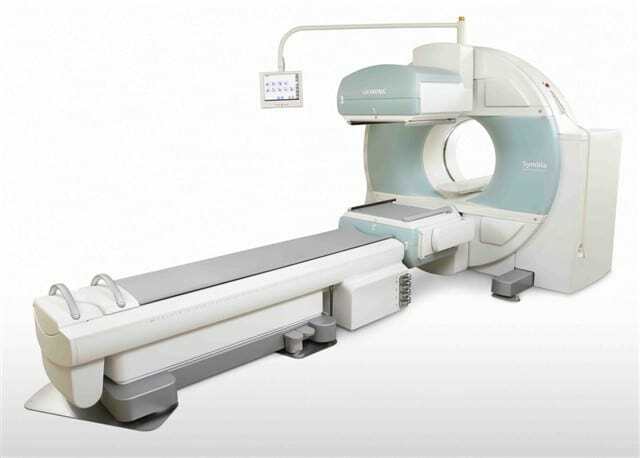 Offered with 2-, 6-, or 16-slice diagnostic CT, Symbia T Series SPECT/CT expands the role of nuclear medicine into routine surgical planning, orthopedics, advanced cardiology and much more.